Pretty chemise night-dress in our vintage inspired soft floral cotton voile. It is a simple, bias cut with lace at the hem and bust. 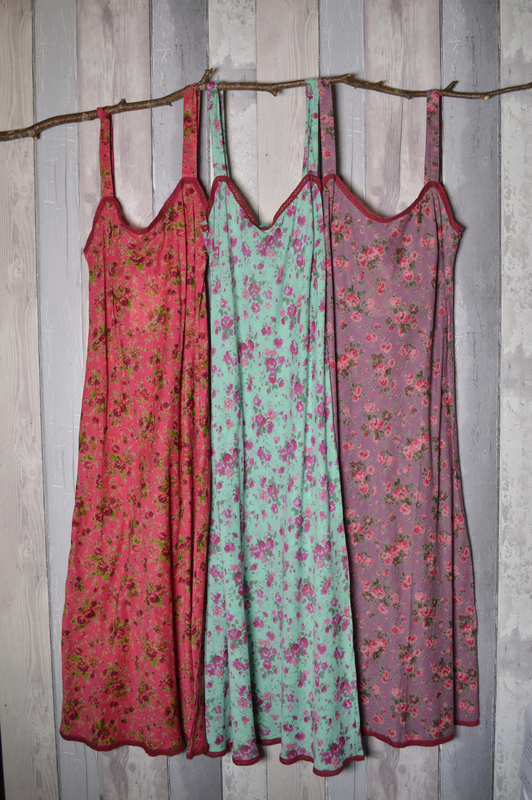 We designed this to be worn either in the daytime as a simple and pretty summer dress, or at night as a nightdress.